Having booked months ago for this secret afternoon tea event I had nearly forgotten all about it, on a rainy morning we drove the few miles to the secret location, somewhere near Clapham, the skies were looking slightly brighter, but it was still chucking it down when we arrived. 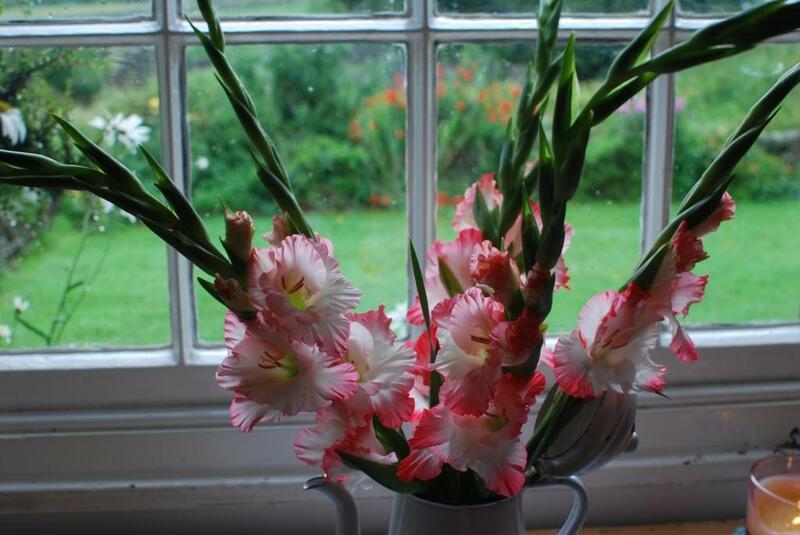 We hurried into the house out of the rain to be met by our hostess, dressed in a fantastic floral pinnie! 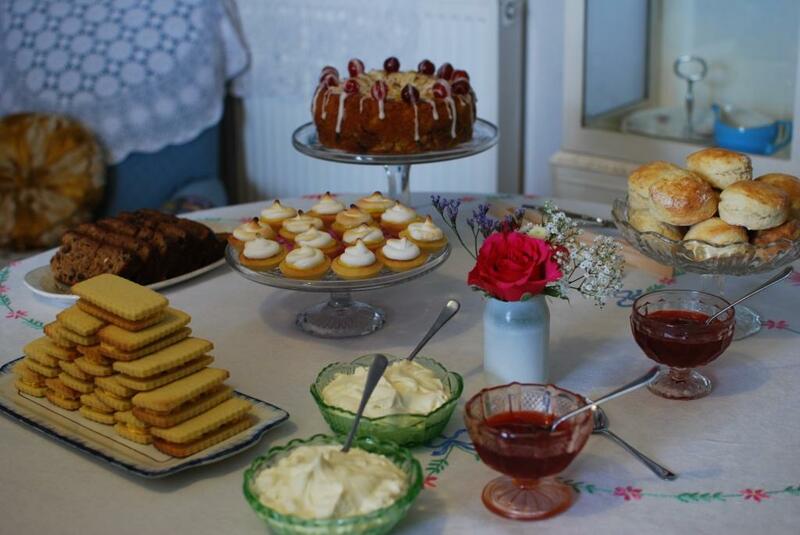 Our hostess had been very busy, the entrance hall and dining room were immaculately set out with a combination of quirky floral chintz and an eclectic mix of best china tea pots, cake stands, cups & saucers…. We were joined by seven other guests for our tea party for nine, as with these events we knew none of our fellow tea drinkers before the event so after brief informal introductions we were offered a cool drink, Yorkshire Dales Garden Cocktail or a rhubarb concoction. I tried the English Garden Cocktail, delicious & very refreshing and then chatted to the other guests who had traveled from as far as Leeds and other far flung areas of The North. Onto the main event Tea, Sandwiches (crusties off!) and cake. A superb selection of teas are available served in that eclectic mix of teapots including Earl Grey, Darjeeling, English Breakfast, Rose Cong Fu (great name), Japanese Cherry, Russian Caravan (another great name!) 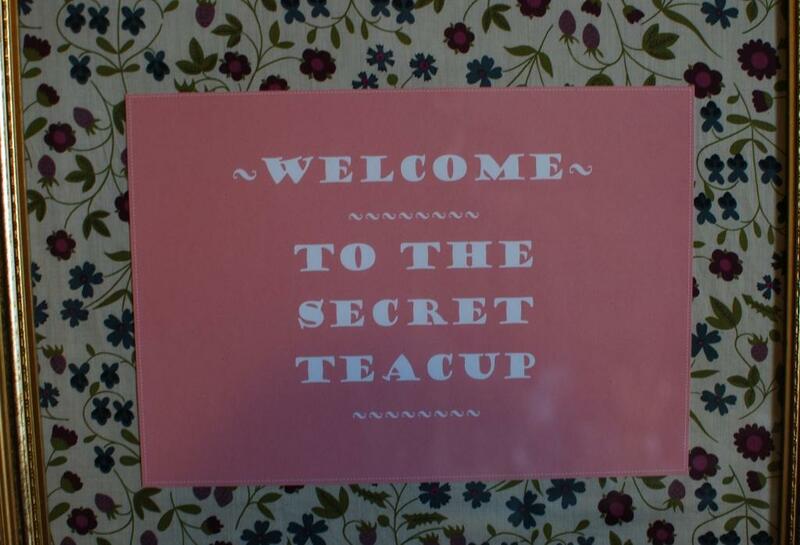 and Jasmine, other teas, tisanes & coffees are available from The Secret Teacups extensive beverage pantry. I am no tea expert but enjoyed trying a couple of new brews. Delicate Sandwiches (crusties off!) 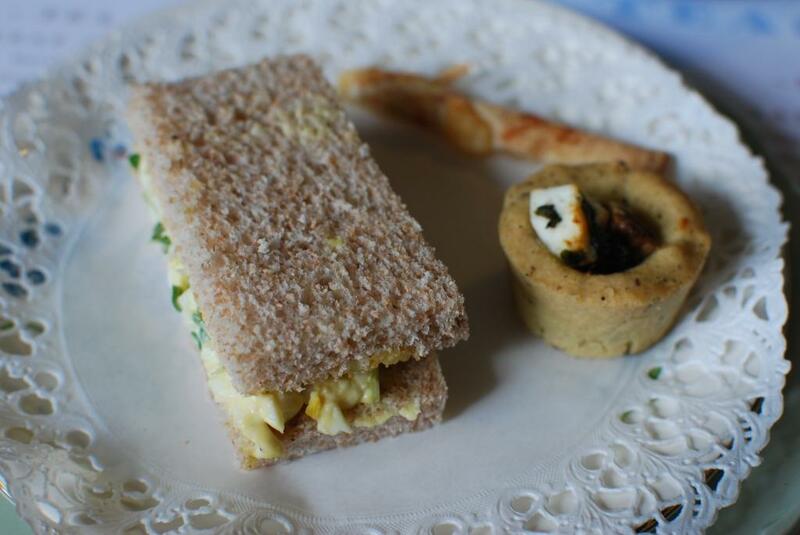 included Homemade Potted Ham with Rocket, Free Range Egg (own freshly laid) Mayonnaise & Cress and Cheese and Homemade Pickle, these were accompanied by Olive & Feta Tartlets and Parmesan & Anchovy Straws, yum…. 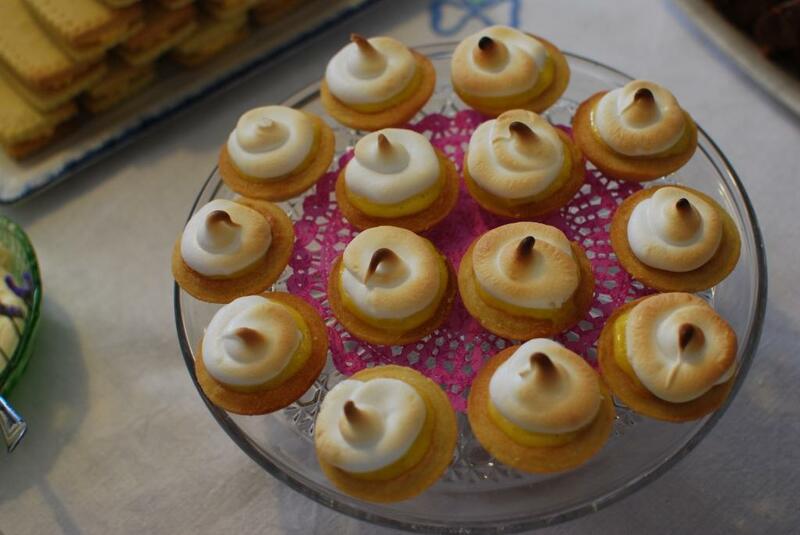 The cakes were simply awesome, Cherry & Almond, Custard Creams (my favourite), Lemon Meringue Tarts, Summer Tea Loaf & superb Scones with jam & cream. 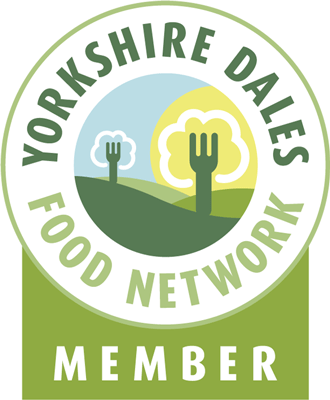 This entry was posted in Events, Food, Reviews, Yorkshire Dales Food and tagged afternoon tea, Beverages, cakes, Clapham, coffee, cup, Darjeeling, Earl Grey, Earl Grey tea, Leeds, sandwiches, secret, tea, tisanes, twitter, Yorkshire Dales. Bookmark the permalink. So secret I didn’t find it, only wish I had, could quite happily tuck in to all those beautifully made & presented cakes. Devastated, spent a week in the Dales, beautiful scenery, places & people, however, I would have enjoyed a visit or two to the secret tea cup! I can only imagine how gorgeous, tasty & enjoyable your visit was. Thank you for your post, great site you have, shall be visiting again to both your site & the Dales. What a spread! 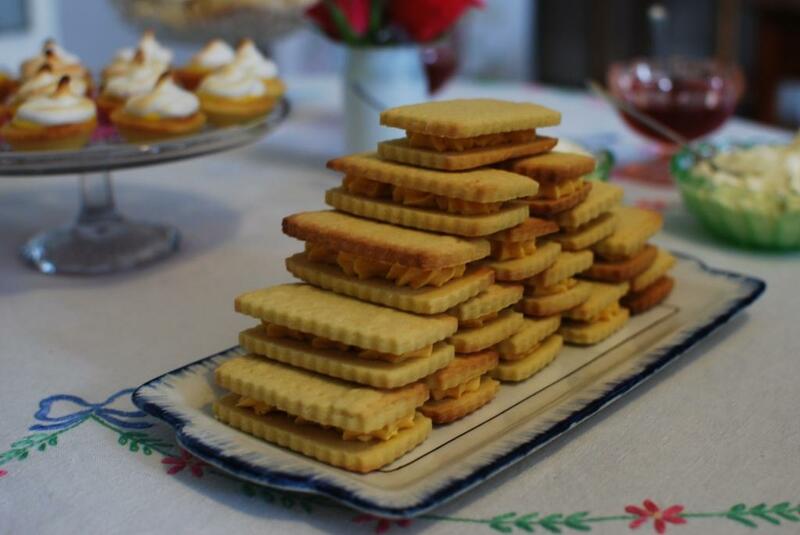 So much good baking going on at the moment! Seriously thinking about going for their upcoming tea tasting event you know!